Whenever electricity is taken from one place to another, some of it is lost, ultimately as heat. In New Zealand, this waste electricity constitutes about 6 or 7 percent of the electricity generated; enough to power the entire Greater Wellington area. In other countries it is usually larger, up to three or four times NZ’s percentage. The industry keeps track of the losses, as there are meters at most points of sale. Ultimately the consumer pays for these losses, but not at the retail price. It is to everybody’s advantage to keep the losses as low as possible. The industry could charge retail if they could deliver more to the consumer, and the consumer would not have to pay for something they do not receive. What causes this electricity loss? This loss depend on several factors, such as the size and material of the conductors, the frequency, the values of the current and voltage and their relative phase. There are complicated relationships between these factors. For example, the resistive loss is proportional to the square of the current in the conductor. Doubling the current thus causes a four-fold loss of electricity. The actual loss is greater than this figure, as the resistance of the wires increases with temperature. If the current is reduced by, say, 10%, then the loss reduces by 19% from the square law. Of course, the reduction will be greater as the wires will be cooler. New Zealand’s electricity has relatively low losses, due to the excellent plans of the designers, who allowed room for growth. The DC Cook Strait cable has a relatively low loss in electricity. The original decision to use 50 Hz as opposed to 60 Hz was undoubtedly the right one. However, certain parts of the transmission and distribution network need to be upgraded sometimes. For example, the cables feeding the Nelson and Tauranga regions needed to be upgraded as the population increased. To this end, new transmission lines into Auckland were built. How can we reduce these losses? One way to reduce the losses is to not move electricity long distances, by generating it close to where it is used. Solar panels are one solution, wind another. As we have generally run out of rivers close to large cities, hydro-generation is less viable, and geothermal power is still a good distance from Auckland. Carbon-based generation is now way too expensive, and anyway we signed the Paris Agreement to limit this. And let’s not talk about nuclear. Wind is now the least expensive and reducing in price, but only if the turbines are very large to capture the higher winds. This generates opposition from local citizenry because of visual pollution. Solar in next lowest in price, with a downward pricing trajectory steeper than wind. Soon solar will be the least expensive option of all. The world has caught on about solar, with a lot of countries now installing very large amounts, such as China and India, catering for a substantial fraction of the world’s population. When solar panels are added to a household, there is less electricity entering the premises, so less loss. Furthermore, if electricity excess to the household’s needs is exported, it does not go very far at all; mostly to immediate neighbours. So all the solar-generated electricity is consumed locally, reducing the losses on the distribution and transmission networks. More solar also means that the transmission and distribution system will not require upgrading nearly as often, even with increasing population and electricity use. The move pushed by the Electricity Authority for pricing structures to fully reflect where the costs are is to be welcomed. 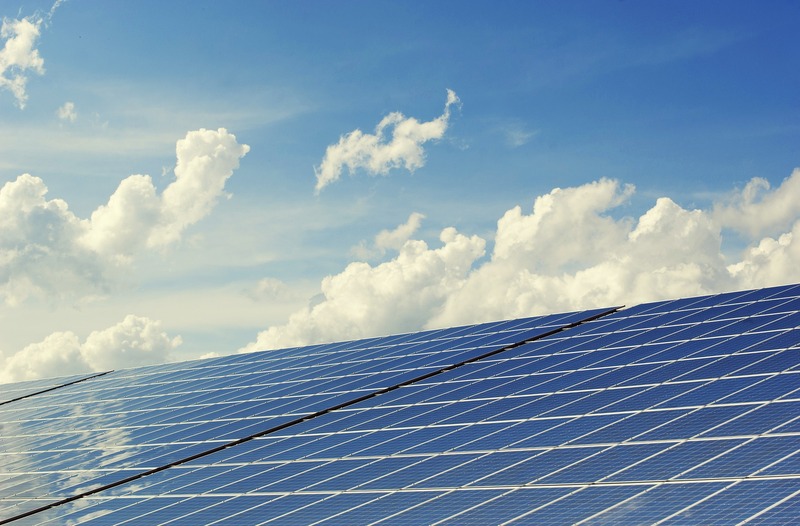 If done correctly, these new pricing structures will greatly increase the value of solar, as the exported solar from a household only uses a few metres of the distribution network to get to its final destination. Moreover, it does not use any of the transmission system. Because of the square law, its existence has a disproportionate effect on the reduction of the losses in the whole system, an advantage to everybody. The result will be an encouragement to householders to add solar. Solar will be particularly helpful in the middle of the North Island, as in the winter, skiers return to their residences and turn on all the heating at the same time as cooking their evening meal. This means that the losses quickly increase for that evening peak. If solar had been running heat pumps all day, then the peak would be much less as the place would be comfortably warm in the evening; especially if the cooking was done in the daytime using a slow cooker. 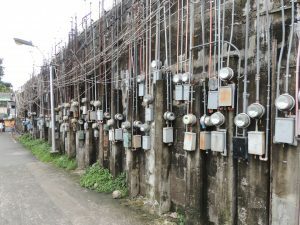 A meter reader’s dream – Quezon City, Philippines. Electric vehicles will add to electricity sales, but with over-night charging, they will contribute little to the loss if handled intelligently, starting charging after the evening peak. Later, daytime charging will be the norm, derived from solar. Distributed battery storage with solar will reduce the loss further, but the industry will not be happy, because it will be too easy for the householder to go off-grid, especially if the industry starts charging more to get their guaranteed financial return. It will quickly be a death-spiral for the industry. However if battery storage is integrated with the grid, then with good software control, there would be much less need for distant rolling reserve, so expensive backup could be retired and battery owners paid accordingly. Again, this is a win-win for all involved. 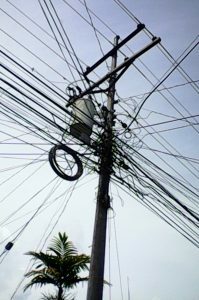 The electrical industry has promoted a lie — that people are being selfish when they install solar panels, and especially those who then disconnect from the grid, penalising the remaining customers, essentially the poor, who cannot afford the panels. The poor end of town will be incentivised to install solar, with financial wizardry assisting, so that somebody else owns the panels and the electricity is paid for as it is used — just like our current industry business model, but with lower costs. Electricity usage will be time-shifted, and more accessible for the unemployed. This is a classic disruptive technology scenario, seen many times before, with computers, cameras, smartphones and soon, electric vehicles. Solar has a long way to go, as further research improves the technology and pricing. Predictions are that the price will eventually drop enough that it will be too cheap to meter and will be treated like our use of the roads, with some general payment to cover the infrastructure. There is a lot to agree with here George, and a few critical things to disagree with. Its hard to see how low income people, who tend to not own their own home and are highly transitory,will be able to effectively buy, install and get benefit from solar panels. If this were the case, logically they would be insulating the homes they rent – they don’t. Its a reality that without significant large-scale changes in the electricity market at the supply end, low to low middle income people will continue to get the rough end of the deal. A possible scenario: a business approaches a landlord and offers to install solar panels on his rental property. The deal is no cost to the landlord at all, but he will own it in twenty five years. The landlord is happy, as he gets an asset that will last for about five decades at no cost. Solar is installed, paid for by the business. The tenants are happy as they get a contract that amounts to about two thirds of their current bill. They learn to time-shift usage to not have to pay for import from the grid. The business gets a payback on their investment at say seven years. Profitable for the following eighteen years, with income from the tenant and the exported electricity. So, as I commented, a significant shift in the market – in this case a supplier who uses another person’s real estate to generate an income stream. This is a clever and very innovative approach, but it has significant capital hurdles none-the-less. I really like the idea of distributed generation, and PV solar, combined with solar hot water, is an ideal technology for achieving it. The economic reality is that we have an entire market – from consumer backward to the regulator – invested in centralised generation. Further, centralised generation will probably have to remain in place for a very long time to meet the needs of industrial and commercial users. As a mass generator in that market with very low overhead and near zero fuel costs (I’m thinking hydro here) why would I allow a distributed PV generator to eat my lunch? And if I am a lines and distribution business, who meets the cost of the long transitional phase as we shift from centralised to distributed? Its all a very complicated technical and economic challenge – we shouldn’t underestimate the hurdles. As the world’s money sources and businesses are moving out of the carbon industries and are thinking strategically and ethically, they are investing in the new era of businesses, including solar. So investment money is no problem. I can certainly understand why the electrical industry is fighting so hard, as they cannot easily alter or dismantle the current system, and there is no plan B available. As the government is both part owner and regulator, they are currently in a powerful position. There will come a time when distributed energy will be priced at below the cost of transmission, so even zero fuel cost hydro will be in trouble. But like the Auckland Harbour Bridge, the Lyttelton Tunnel, and the radio and TV networks, the original investment has long since been paid back. The hurdles are being understood internationally, as NZ is way behind the times, so it will be easy for NZ to adopt the best ideas. I have long been advocating that NZ leads in at least the control software, the intelligent grid, but this is now being built, so we will just need to download the latest version. Watch what happens in Australia with Musk’s offer to install 100 MW of batteries. If he does not install in 100 days it will be free. If there is no problem getting investment money, why is their all the complaints about withdrawal of subsidies. There is nothing to stop people going off grid. However, if you want the benefit to gain the advantages of the security and reliability of the grid, you need to pay for it. Grids (transmission and distribution) are built for peak load ,not average or usual load. Maybe they need to have all grids as fixed price per day, depending on your input cable. Overseas, the duck curve and rhino horns are causing massive grid problems. These are mainly caused by solar cells. That has increased operating costs. The heavy demand over the last few weeks from the cold weather has caused very high demand in NZ. The wind has been missing in action and solar has provided nothing. That is what the grid is sized for. I also see as I write this that South Australia is burning huge amounts of gas (70% of their power) because neither wind nor solar has delivered. With regards your comments about load losses and 50 vrs 60Hz, you just don’t know what you are talking about. To kick-start the move towards the government’s aim to have 90 % renewable energy in electricity generation, part of our international commitment to combat global warming, incentives were offered. These should be short-term subsidies, but human nature being what it is, there are complaints when they are removed. It is always a difficult decision to determine when to remove them, as too soon is counter-productive, and too late fiscally expensive. I agree with you in principle that if you want the advantages of the grid, then you should pay for them. The industry has approval to demand a particular return on their investment, and they are not yet ready to acknowledge that some of their assets may have zero or negative value. This will change, as competition from renewables starts to bite. Eventually, like the radio/TV licence, it is more efficient to socialise the cost. The duck curve can be solved by software, education and appropriate pricing, with to-the-minute information provided to the consumer about the implications of their consumption. Small household loads like hot water and room climate control, and large industrial loads like the irrigation system behind Oamaru, can be turned off when appropriate. Economic battery storage is on the near horizon, with the advantage that it is immediately dispatchable. We have good long-term storage with hydro lakes if used correctly. Australia is going through its own problems and is a good example of what not to do. The coalition government is now sometimes called the COALition. There is a saying that you should learn from other people’s mistakes, as you do not have enough time in this life to make them all yourself. There is a skin effect in electrical conductors, where an AC current flows through the outside layers of a conductor. So a cable of a particular size will have a higher resistance at higher frequency, so higher loss. There are complicating factors involved, especially to do with transformers, that was inappropriate to detail in the article. You have so much misinformation there that it is hard to unpick. I haven’t got enough room to do it all, but you would do well to remember Swift’s aphorism about a little learning. ” The original decision to use 50 Hz as opposed to 60 Hz was undoubtedly the right one.” – I gather this is where you are talking about the skin effect – that is garbage. The difference is negligible. The frequencies were chose more from a fate of history (like QWERTY keyboards) and equipment suppliers. Wikipedia has quite a good history on it. “New Zealand’s electricity has relatively low losses, due to the excellent plans of the designers, who allowed room for growth.” No we don’t. there are a number of major constraints in the lines like Livingstone that Transpower is still working around. They also had to bulldoze hillsides to allow lines to sag more because they have overheated. There is also the spring washer effect on some loops that bring in limits. You can’t do demand constraints with main hot water cylinders otherwise people run out of hot water. The duck curve can’t be cured by software. You have to constrain off the intermittent suppliers, like they do now in South Australia and put GTs on must run. Economic battery storage is nowhere near viable for those on the grid. 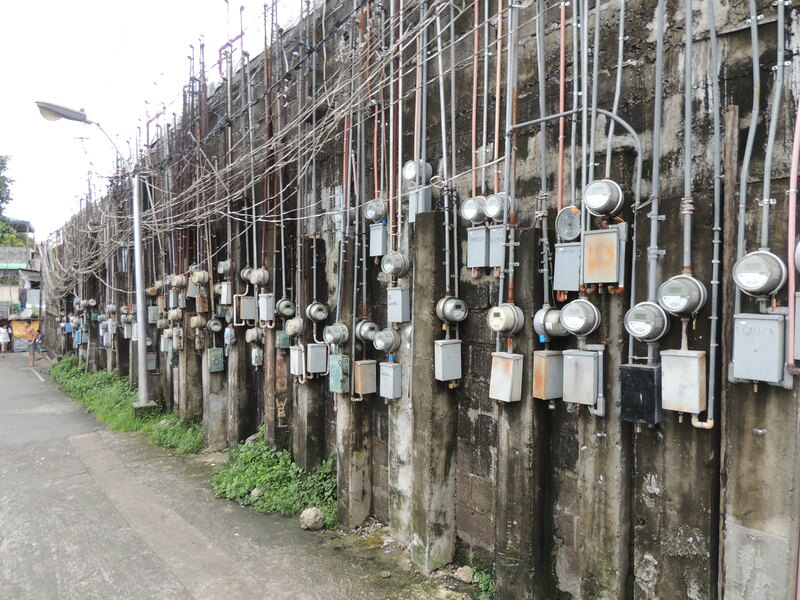 What transmission or distribution lines and assets have negative value? Bob Thompson wouldn’t spend any money on grid assets in the 90s because distributed generation was happening and make the grid redundant. Look where that got us and we are still waiting for the change. Everything you want will raise the cost of power significantly and make it less available. That is why South Australia, Germany and Denmark have the most expensive power in the world – and for what? So their jobs can go to China and India where they burn coal to make the goods. Go and tell the housewives of NZ that you are going to raise the cost of their power to save the planet and see how much support you get. I bow to your superior knowledge. You are correct, a little knowledge is a dangerous thing. I live dangerously. But I learn something new every day. I know the history of 50/60 Hz. There is about a 10 % decrease in the skin depth if you change from 50 to 60 Hz, small but not trivial. You can control water cylinders and still have sufficient hot water if you have the knowledge to do so. This is the era of the internet of things. I know, we do not yet have minute by minute metering, and we do not yet have an on-line switch and temperature sensor on water cylinders or heatpumps. That is all part of the intelligent grid. The duck curve is because the sun has gone down in the evening, so intermittents, certainly solar, are not then involved. I understand that the old technology suffers from use constraints, like time to dispatch. So they are not a good match in the new era. I think that gas is the quickest, hence its use in the meantime. Batteries are soon to be commercially viable, and the offer in Australia on the table at the moment is the beginning of the new era. Kicked into gear by cellphones, then the electric car industry, they are the future, with immediate dispatch. I was not thinking of the lines in relation to the value of the assets. I was thinking of carbon-based generation with non-zero fuel costs. China is turning off coal fired generation as new solar and wind come on line, so has to write off functioning generators, and the dismantling costs will make their value negative. India has not yet reached that point, but will soon. I fail to see how adding less expensive renewables are going to raise the price of electricity. I would have thought that the competition will have the effect that the industry will recognise that its prices have to come down to meet the new entrants, or else they go the way of Kodak and others, into a death spiral. Distributed generation will ease the constraints you are telling me about. The histories of the countries you mentioned are not what will happen in the future, because we are now beyond the tipping point, where renewables are less expensive. So it is a new era. I am thinking that you have not yet understood the impact that disruptive technology has. It is devastating for the incumbents, but out of the ashes rises a new and much better system. That is the cost of progress. Skin effect is interesting and relevant at RF frequencies. It line frequencies its immaterial. NZ is already over 85% renewables. Your examples are interesting, but irrelevant in our market. The issues here are not around reducing carbon costs and moving away from oil. The disruption of solar (or any other upcoming generation technology) will be about total cost reduction to the consumer. I’d stick PV solar on the roof tomorrow, but the cost/benefit still doesn’t stack up. It won’t for quite a while, and I’m in Auckland. I’d be better off spending on insulation and consumption reduction. As would the rest of the country. You need to get out more and stop reading echo chamber blogs. China is still building coal stations flat out. Go here http://endcoal.org/tracker/ and look at the ones under construction. They cancelled a lot because there was overdesign and rationalization. Every district in China wanted their own station. Then have a look at the ones being built in India. All of these are 500-700MW units, so each one is bigger than all the windfarms in NZ. If renewables are so cheap, why are they still being subsidized in California and Australia? Why is the power there, like that in Denmark and Germany so expensive? They aren’t cheap and they aren’t reliable. To cover for them, OCGTs have to be run part load. That is very inefficient and burns a lot of gas. Even with fast start technology, it takes about 15 minutes to get one on standby up to synchronous speed and maybe another 10 to fully load them. And batteries don’t produce power. They add to the cost of a non-dispatchable system. They also aren’t grid sized. Even the new one going on the windfarm in SA is only distribution sized. The skin effect at 50Hz in copper is 9mm. At 60Hz it is 8.5mm. In Aluminium, it is slightly bigger. The skin effect on these numbers is “from each surface”. A wire of 17 mm diameter has zero area that is outside one “skin” deep. The current does not go to zero at that point, it simply drops off a bit. As you go into a wire, the main part of the cross section is towards the edge rather than the center. The cross section effect means that the practical impact on a cable is quite small even in the 18 to 25 mm range. Now how many copper bus bars or cables are solid copper 25mm thick?